This is a continuation of a travel series of a camping trip I took with my family back in July. To start at the beginning, go HERE. The rest of the posts, in chronological order, are HERE, HERE, HERE, HERE, HERE. On the second to last day of our camping trip the Johnson family was burnt out from hiking in the woods looking at waterfalls, so we decided a day in the city would be fun. The nearest large city that we had never been to before was Ashland. It was a rainy day, so we were actually hoping to see a movie, but unfortunately there were no matinees. We didn't want to drive back home to our campsite in the dark for fear of hitting a deer (or worse yet, a bear) with our car, so we scrapped that idea. So after driving around a bit, we tried to figure out plan B. There were no indoor shopping malls and hubby didn't want to drive to Duluth where we knew there was a big mall. And other than a gorgeous beach and park on Lake Superior we couldn't see anything else to do. So, we decided then to look for a Visitors Center for ideas of things to do in the area. And, we couldn't find one anywhere. We drove around in circles for at least thirty minutes. I couldn't use my GPS because I was out of data on my IPhone and I did not want to be charged an overcharge. Eventually we found a chain hotel and I said to my husband, "Stop here. They always have flyers of things to do in the area in the lobby". And I was right. I grabbed a few flyers and headed back to the car. I then said to the family, "It looks like there's not much to do here on a rainy day because all the activities involve the lake, the beach, or more hiking. 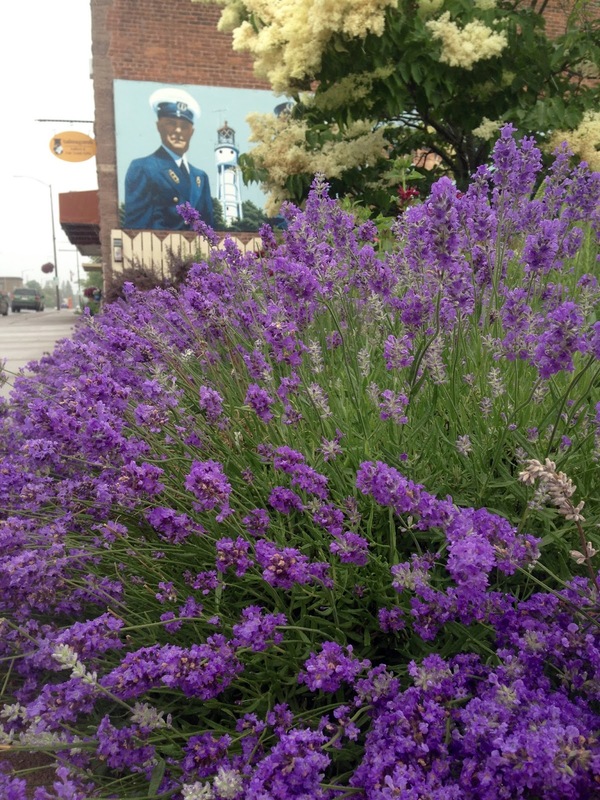 But there is this Ashland City Mural Walk I'd like to check out. After that, I think we should head to Bayfield because it seems that is where all the action is.". All the murals were marked on a map with descriptions of each mural. So hubby drove to the very first one, and from there he and Jordan decided to stay in the car and nap, while Ashley, Jason, and I grabbed our umbrellas and headed out to see the murals. 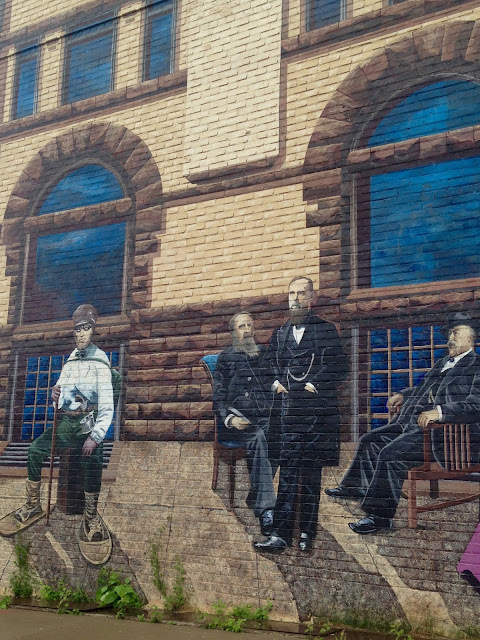 This is the Aspah Whittlesey mural that depicts the founder of Ashland and other early settlers in front of the Ashland State Bank as it existed in 1892. 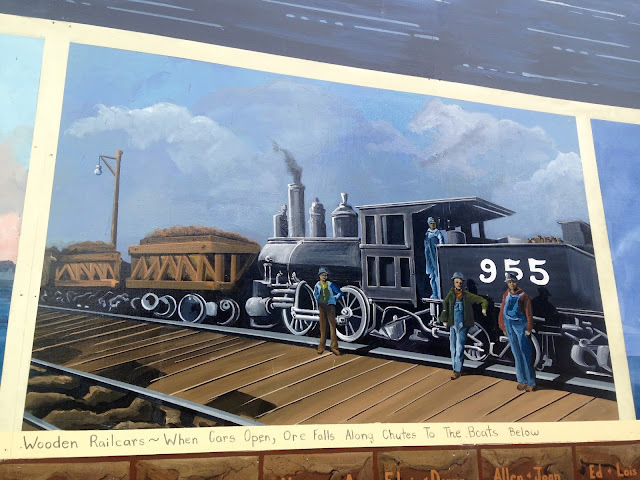 All the murals tell the history of Ashland City. You can learn so much about Ashland's history just by taking this walking tour and viewing these murals. 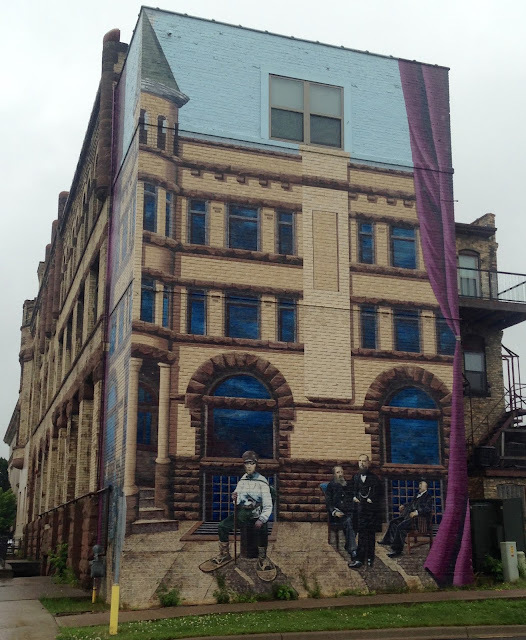 The Historical Ellis Avenue Mural is painted on the former Lake Superior District Power Company Building. 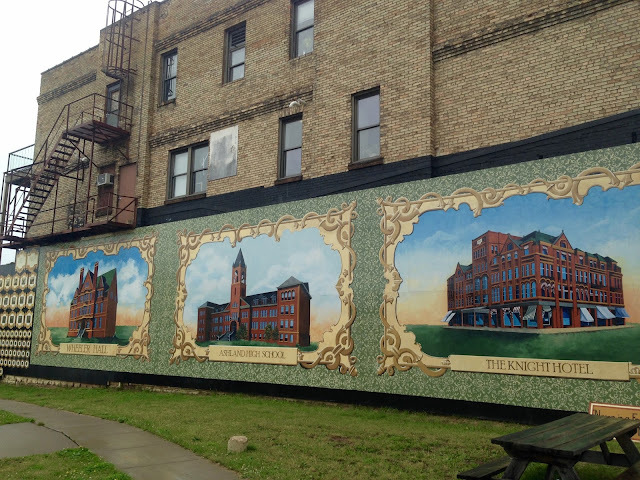 This mural features Northland College's Wheeler Hall, the old Ashland High School, and the Knight Hotel. The Waitress Mural was one of my faves. I just found it so charming, and I loved the waitress in the middle. 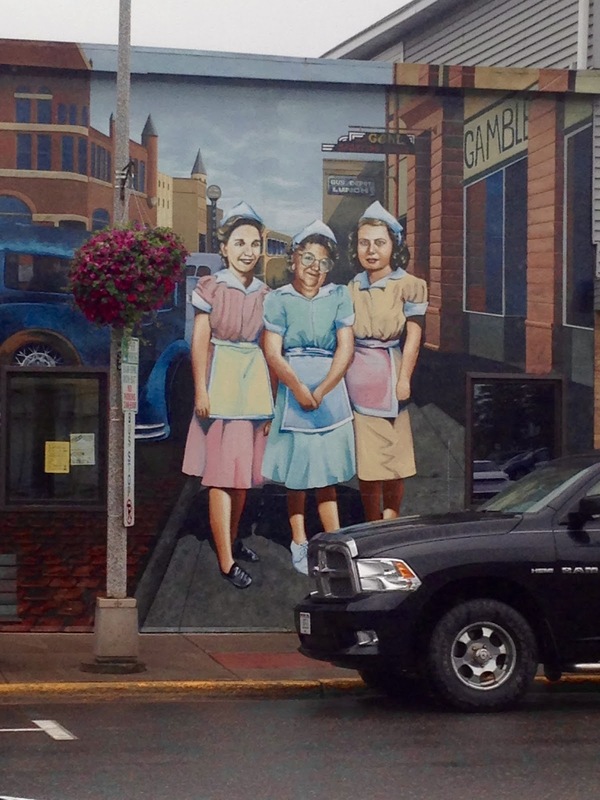 This mural was painted from an actual photograph taken in the 1940's. The owner of the building wanted to honor the woman who helped raised him. This large mural is the Ashland Ore Dock Mural. 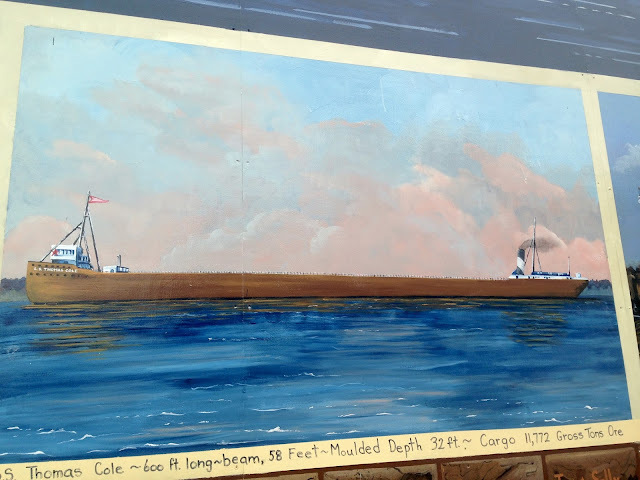 This mural depicts Ashland's rich shipping history. The top half of the mural is painted "to scale" of the Ore Dock itself. The lower half are postcards or snippets telling the history of the varied uses of the structure over the years. And here are some close ups of some of the "postcards"on the mural. 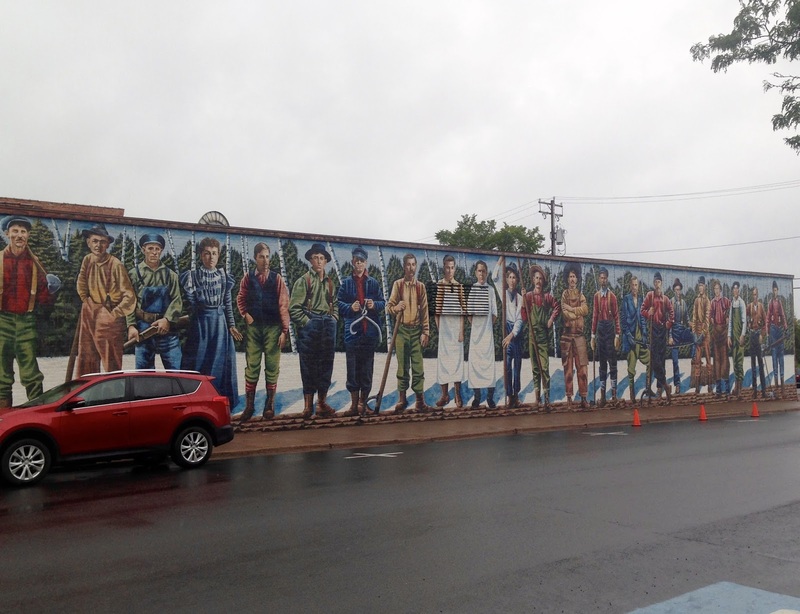 This fun mural is the "Lumberjack Mural". At first, I was bothered that cars are allowed to park in front of the murals, because it's hard to get a good photograph of the art work when cars are always blocking them. 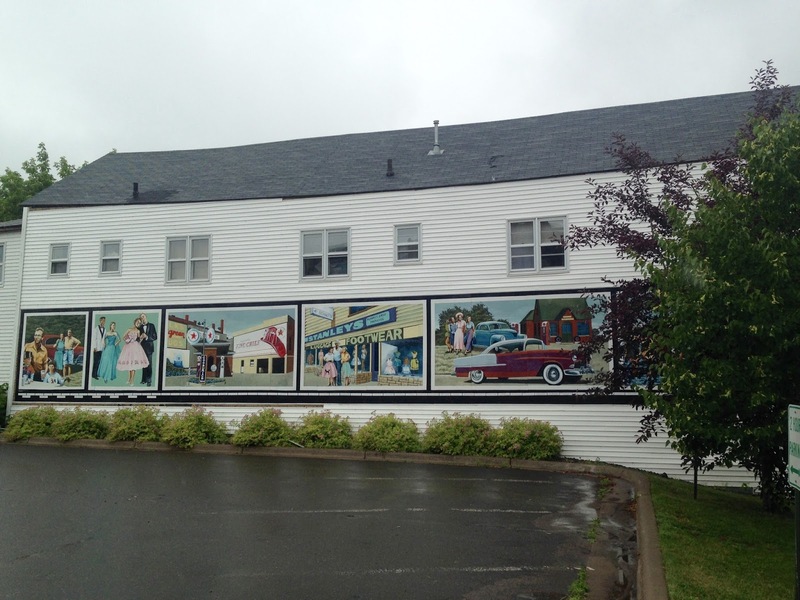 But it's actually nice to have a vehicle in front of the mural now, because you can get any idea of the amazing scale of these murals. 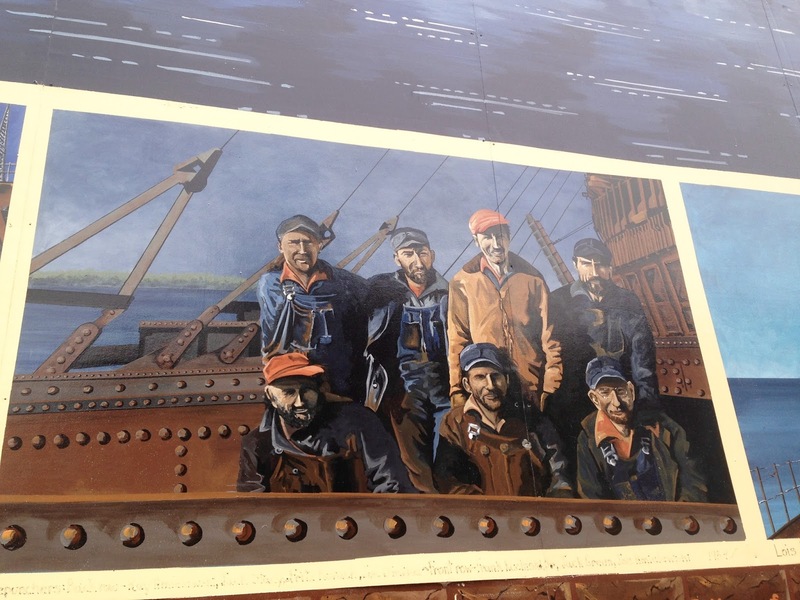 The Lumberjack Mural shows some of the actual men (and one woman) of Ashland's lumber era. All the people pictured were actual lumberjacks who worked in the region. The images were taken from old photos. The Store Front Mural was another one of my favorites because I love old buildings and I also loved all the gorgeous color in this mural. This is compilation of various store fronts of Ashland City from the early 1900's. This is the Veteran's Mural in honor of Ashland area military veterans. Again, everyone represented on the mural is/was an actual person from the area. 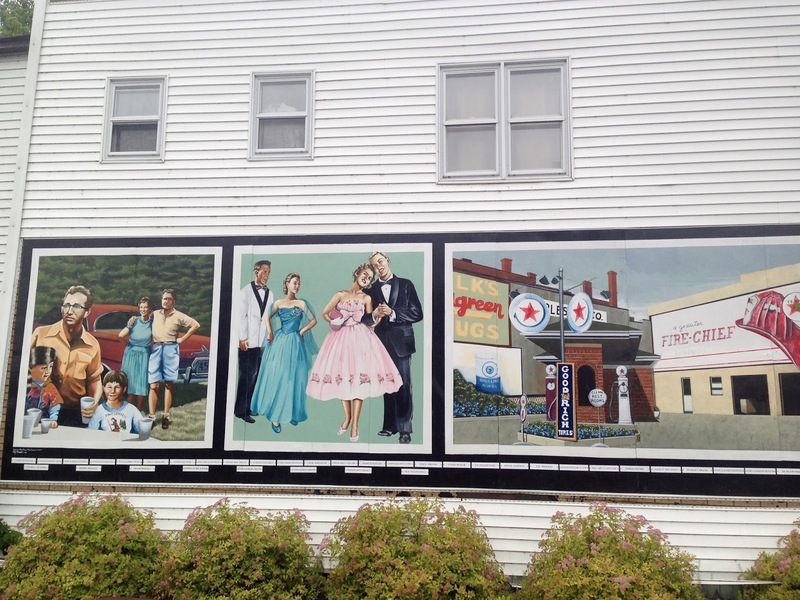 The 1950's Snapshot Mural is a fun mural to see if your fond of the "Happy Days" era. 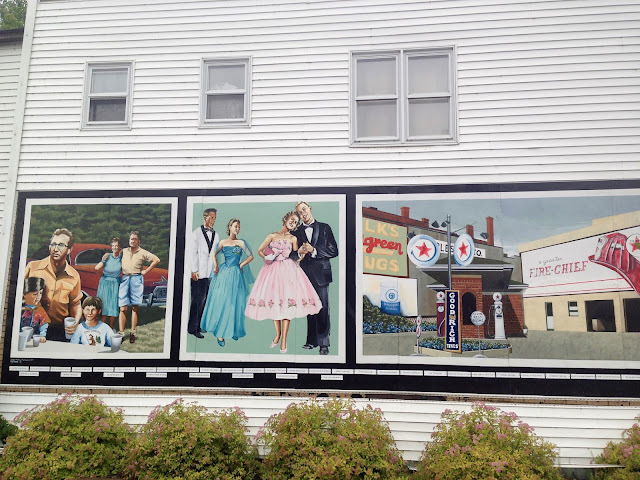 There are some celebrities in this mural (Bing Crosby, Lana Turner, Perry Como, and Rosemary Clooney) along with local gas stations of Ashland County during that time period. 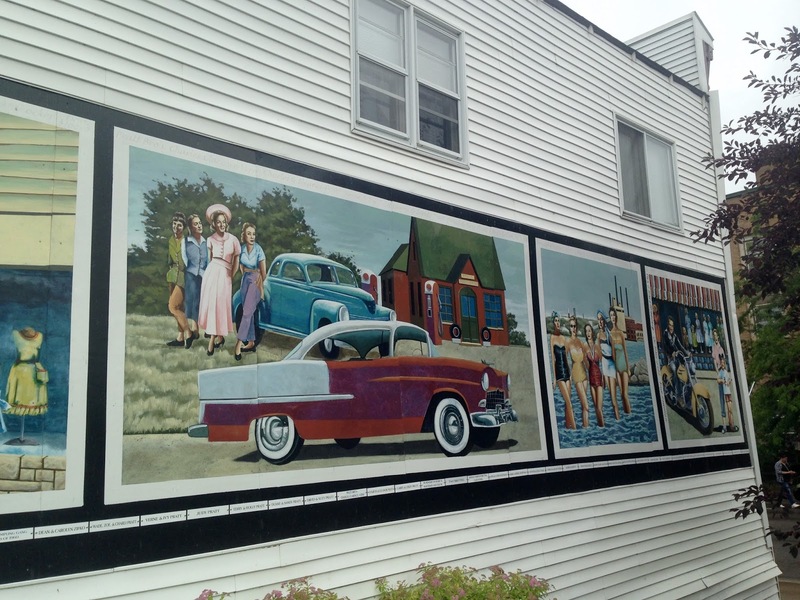 Bing is in the family picnic mural, Lana Turner is in the bathing suit shot, and Perry and Rosemary are in the motorcycle mural. 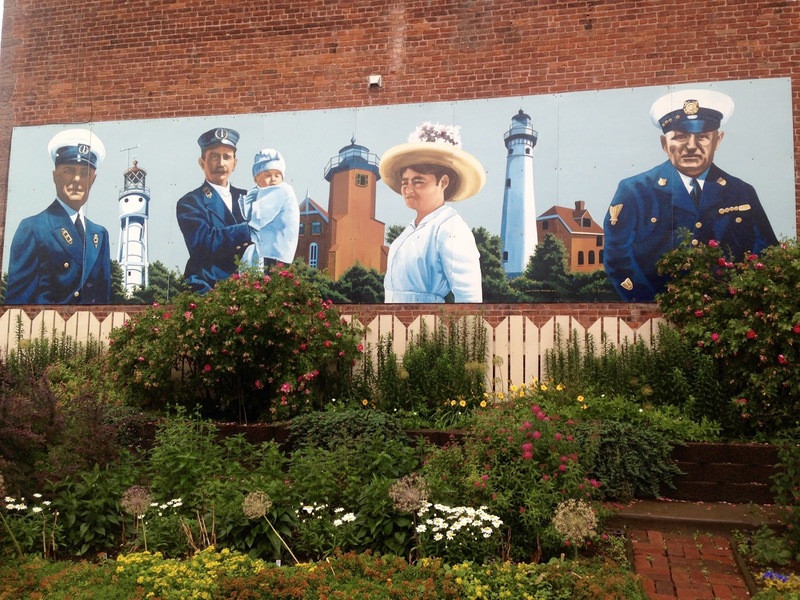 This mural depicts three lighthouses depicted in the Apostle Islands. The Apostle Islands is a dream vacation my husband and I have always wanted to take. 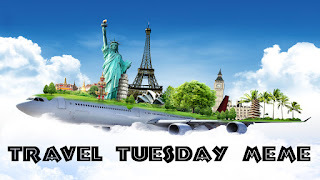 It's very close by to where we live, but for some reason, every single time we plan a trip there, something goes awry and we end up cancelling it. But someday, I hope to make it there! There were so many creatures living in this garden...birds, butterflies, chipmunks! It was like a little spot of heaven in a city. Oh, and the scents! 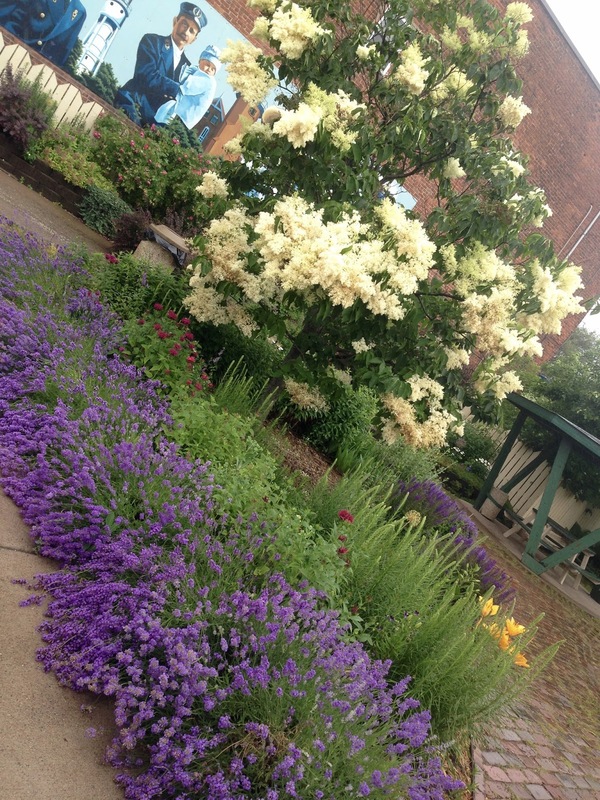 You could smell this garden long before you reached it. 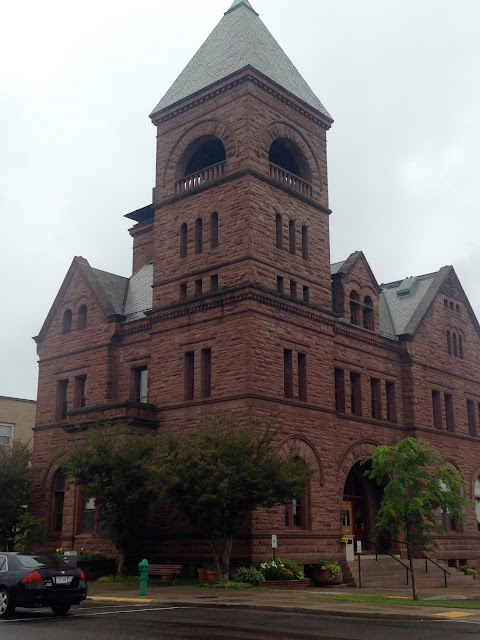 I also want to point out that Ashland also has a really cute historic downtown, but we didn't go into any of the shops. We did window shop though and enjoyed looking at all the exteriors of the buildings. I'm not one to frequent small town shops because I always find them so out of my price range and they usually contain items I do not need. Occasionally, if it's a very special vacation to me, I try to find something useful to remember my trip by, but that's about it. 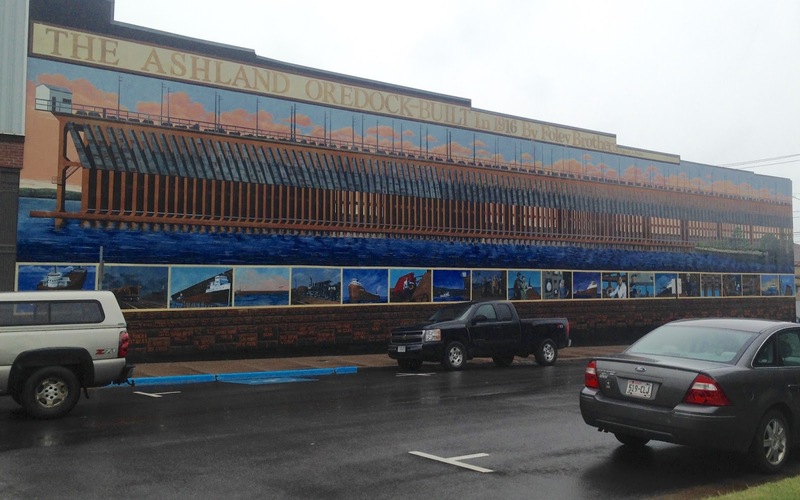 Below is pictures some of Ashland's store fronts. Are they cool or what? I also really loved this building, but I don't remember what it was. Sorry. There were many more murals on the map, but unfortunately we didn't get to all of them. You can read more about the murals and see the ones we missed HERE. 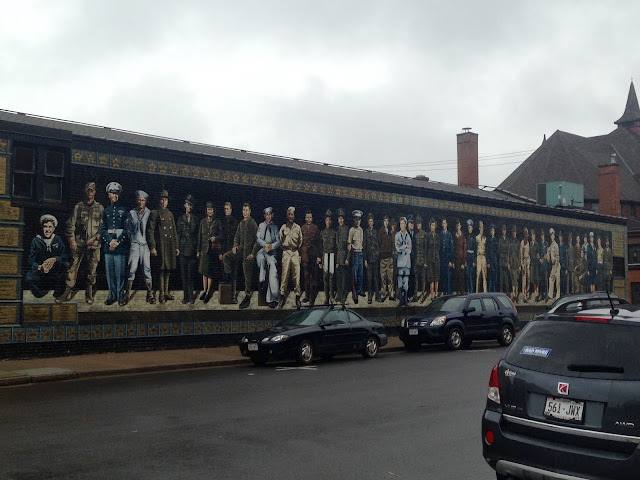 There is also a map of all the murals on that website. Oh, and about that Visitor Center, we eventually did find it...on the way OUT of town. We actually burst out laughing because it was so HUGE it's impossible to miss...unless, you come to Ashland from a different route...which we did. We kept looking for the Visitors Center IN TOWN, never thinking it was just outside of town near the highway. Ashland County, if your reading this, please put some signs IN TOWN guiding people to your Visitor Center. Not everyone enters Ashland from the major highway. These murals are amazing! How cool! Thanks Jessica! It was such a fun walk! The murals look beautiful! And the downtown shopping area does look really cute too! Never heard about the Apostle islands, looked it up, what a beautiful area! 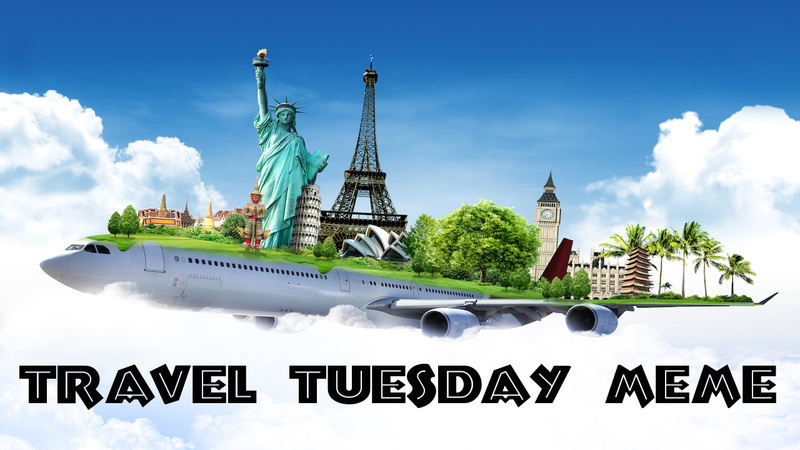 Hope you get to go there soon! Thanks Elli! Someday we'll make it to the Apostle Islands! Such a amazing murals!! I actually had to double take the first picture, I didn't realize it was a painting at first! 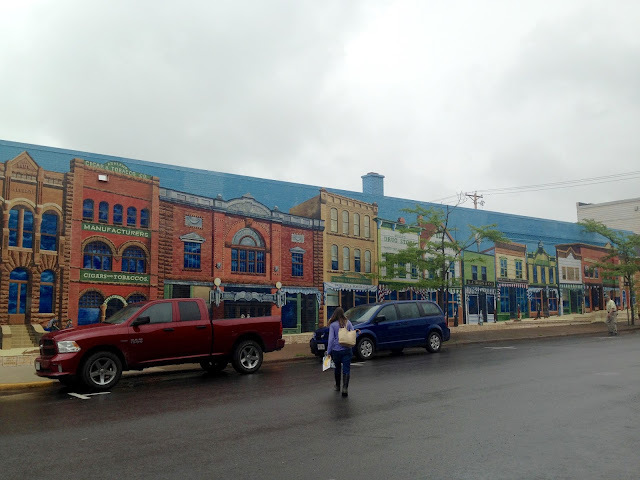 These are such beautiful murals! I can't imagine painting on the side of a building. I really love the waitresses. I also had to chuckle when I heard that your husband and Jordan stayed in the car to nap. :) Sounds like my husband! ha! Thanks Carrie, yes, my hubby will nap any chance he gets!